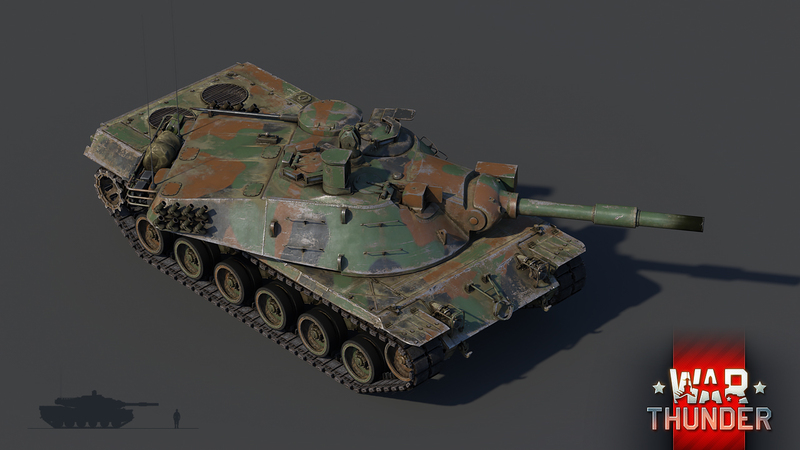 Developed from a need to counter a new weapon from the other side of the Iron Curtain, the MBT-70 and the KPz-70 were the result of a joint effort between engineers from West Germany and the United States that attempted to create a brand new, high-tech MBT design by combining their resources and experience. 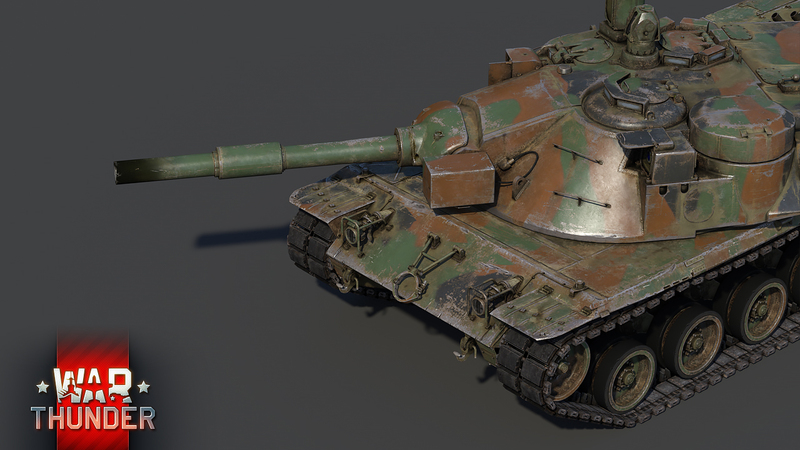 Coming with update 1.71, the MBT-70 and the KPz-70 will have a chance to prove the effectiveness of its design by clashing against other MBTs of the time period, including the one that initiated its development in the first place! 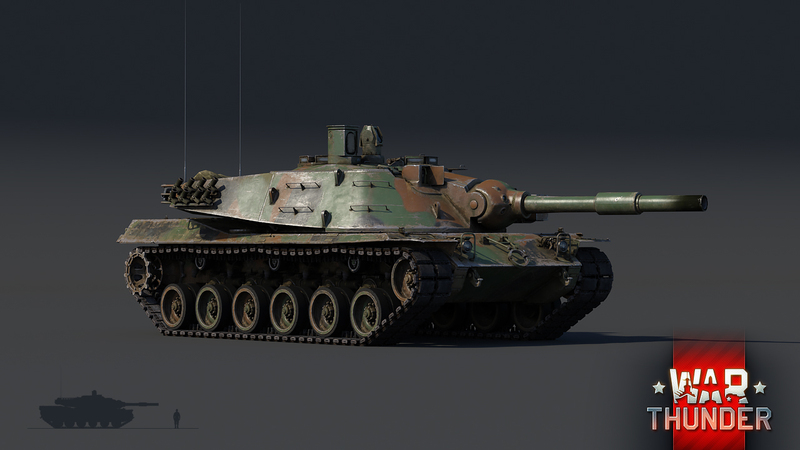 War Thunder’s update 1.71, will introduce both versions of the project to the respective research trees of the American (MBT-70) and German (KPz-70) ground forces, as a rank VI vehicle. 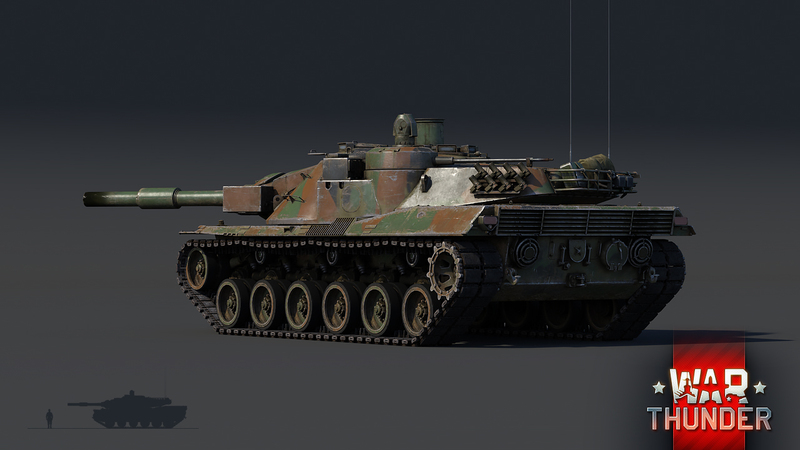 Whilst both versions of the tank are very similar to each other, nigh identical when it comes to visual appearance, they do possess a few minor differences that distinguish them from one another. Key elements like the armour layout, cannon and equipment stay the same on both versions, whilst the only real difference lies in the powerplant that the vehicles used. Namely, the MBT-70 uses a 1,470 horsepower air-cooled Continental V-12 diesel engine, whilst the German KPz-70 uses a 1,500 horsepower Daimler Benz power plant. Both versions, regardless of the engine they used, managed to achieve a top speed of 64 km/h on roads, even in reverse, making the MBT/KPz-70 faster than both the Leopard 1 and M60. The specifications for the tank’s development required protection from APDS rounds at a distance of 800 metres. This is why the engineers designed a 2-layer spaced armour across the upper glacis as well as the front of the turret. With the relatively thin external layer and thicker internal armour. This design provided protection from APDS rounds with tungsten cores - which after passing through the upper layer the core would be destroyed because of internal stresses. At the same time, due to the small space between the layers, this armour was not very efficient against HEAT rounds. 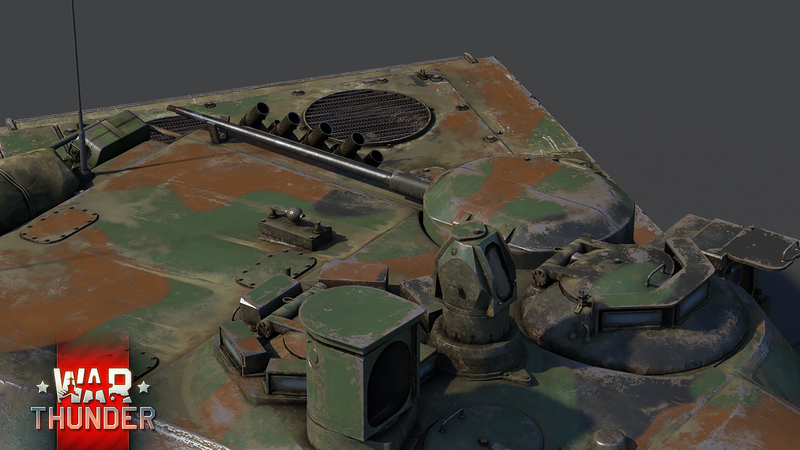 When it comes to delivering death and destruction to your enemy, players will have the choice to choose between several different ammunition types for the 152mm gun launcher. The cannon can fire anything from sub-calibre rounds to ATGMs, and presents a perfect multitool for use in a rapidly changing situation on the battlefields. This way, players can switch from close quarter brawl fights to long range sniping engagements in a matter of seconds. If the situation requires them to do so, the automatic loading mechanism would provide a very good rate of fire. To assist with low flying aircraft and lightly armoured fighting vehicles, the MBT/ KPz-70 is equipped with a remote-controlled 20mm cannon on top of the main fighting compartment (turret). However, whilst the tank has fairly efficient armour protection against kinetic ammo at the front, the sides and rear of the vehicle are relatively thinly armoured, offering only effective protection against smaller calibre autocannons. Future commanders of the MBT/KPz-70 should also bear in mind that all of their three crew members are situated in the main fighting compartment in the turret, meaning that a single well-placed shot or ATGM may take out the entire crew in one go, rendering the tank combat ineffective. To avoid this from happening, make sure to use use the tank’s excellent mobility to switch position as often as possible, preferably after each engagement, or make good use of the hydropneumatic suspension and place the tank in a good hull down position, where your tank will be well protected and less visible against incoming fire. If, on the other hand, you’re forced into a hasty retreat, remember to use the smoke launchers in combination with the excellent reverse speed of the tank to your advantage, in order to make a safe retreat from the combat zone. I also leave for Air Force basic on the third! Are you going to Texas??? DJBAKEZZ, US Air Force basic is at Texas. Joined last January and it has been a very unique experience. YES!! YEEEEEEEEEEES!!!! YAAAAAAAAAAAAYAWALKALAAXA------Error: SPANISH_AVENGER stopped working. At last, someone who isn't begging for a non-existent APDSFS round for the Mk.5!!!! SOMEONE WHO READS! *FireWarrior2013, didn't Chieftain Mk 5/3 have APFSDS rounds? 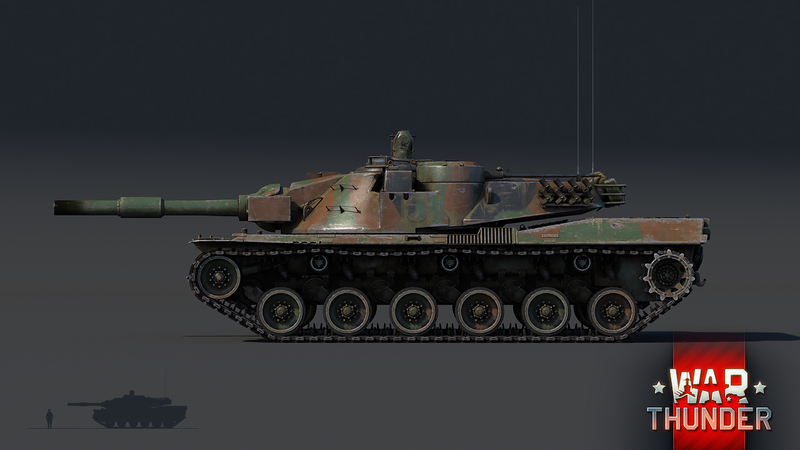 why does the KPz-70 get a 152mm launcher, when germany never wanted it? a 120mm gun was planned! can some mod tell us a reason why? "planned" =/= mounted Edit. Longer explanation: there were plans to mount new cannon, but all of the built prototypes were equipped with american 152mm. I won't be surprised if Britain gets the chieftain 800 or even 900 with the chobham armor. Outstanding job gaijin team keep it up. I surely hope so. We have yet to see anything British, and a little birdie tells me us poor Brits won't be taking part in the Rank VI tests. Major_Marmite, It's okay, the tanks you have are OP enough to take part anyways.